The Saudi Cyber Security and Internet Programming Association (SFCSP) has signed an agreement with VirtuPort, a leader in cybersecurity, to promote cooperative efforts between the parties and related services, consultations and training. 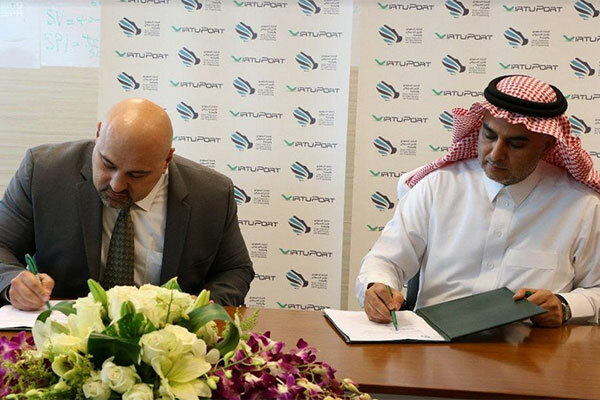 The memorandum of understanding (MoU) was signed on behalf of the Advisor to the Royal Court, chairman of SFCP Saud bin Abdullah Al Qahtani, by vice chairman of the Federation Dr Abdullah bin Sharaf Al Ghamdi, and Virtuport's CEO, Samer Omar. Al-Qahtani said that such agreements provide training and development opportunities for the members of the Union, which contribute to increasing awareness and knowledge and assessing human capabilities in cybersecurity. According to the MoU, VirtuPort will participate in the activities of SFCSP, including conferences, workshops and competitions/hackathons and the provision of Cyber Security related curriculums. The terms of the MoU include VirtuPort facilitating Saudi trainees with access to online training materials, specific products, software licenses, tools and other resources for academic use. This will provide an appropriate training environment to attract and develop local talent in the areas of expertise of both parties, encouraging professional certification and innovators in the field of information technology who have an interest in the areas of expertise of both parties. SFCSP is a national organization under the umbrella of the Saudi Olympic Committee. It seeks to build financial and professional capabilities in the field of cybersecurity and software development in accordance with best international practices and standards, in order to bring modern technical knowledge to the Kingdom of Saudi Arabia. VirtuPort operates in three main areas through cyber security business lines and activities such as the Mena Information Security Conference (Mena ISC) including hackathons, cybersecurity advisory and promoting innovating cyber security solutions. VirtuPort plans on hosting another Hackathon competition at Mena ISC 2018 later this year. VirtuPort also plans on launching more cybersecurity events and competitions throughout the GCC and Middle East with plans to host a regional hackathon to include the top regional teams competing by 2020. The Mena ISC Hackathon offers a state-of-the-art smart city model environment to help identify and foster cyber security talents. The importance of this is that it allows both competitors and observers to visually identify and feel the implications of a cyber breach on various applications, networks, ICS / SCADA and other smart IoT devices. This in turn will help stress the gravity of a cyber breach by showing model planes crashing, public services at halt or hospitals breaking down. “Many international surveys report that the cybersecurity resource shortfall will reach between 2.5-3.5 million unfilled positions worldwide by the year 2021,” said Omar.